Cleto G. Prudente Memorial scholarships are given to an outstanding elementary school graduates who want to enroll in MSC High school. Privileges include but not limited to free tuition and miscellaneous fees, book and uniform allowance and transportation allowance. We recently received testimonials from some alumni who were recipients of Cleto G. Prudente Scholarship grants. I’m Louie Francis Alvarez, one of the Cleto G. Prudente Memorial Scholars. I completed my secondary education in MSC High School and took up Bachelor of Science in Statistics at the University of the Philippines, Los Baños. 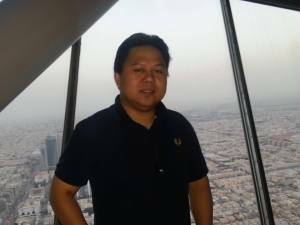 After graduation, I was able to get a job as a Data Quality Consultant in Pan Pacific Computer Center Inc. (PPCC) and then after a few years I worked as a Technical Analyst in Rizal Commercial Banking Corporation (RCBC). I also worked overseas in a multinational bank as a Senior SAS Analyst Programmer in Standard Chartered Scope International Malaysia. I’m very grateful that I was given the privilege to be a scholar in one of the private school in the city that helped me prepare to face the college life and the real world. This life-changing opportunity was made possible by Sir Ike, who has supported my education since the beginning of my high school and who still believed in me despite all the things that happened. The support that was provided to me does not covers tuition fee only but also includes almost all of the things I needed to complete my studies. This includes a monthly allowance that helped me join extra-curricular activities such as joining the camps of the Boy Scout of the Philippines and contests. This not only provided me with the much needed education but has also given me the chance to experience things that I would not have learned in school. If it were not for the financial assistance given to me by Prudente family, I would not have been able to continue and finish my college education and help my family to have a better life. Because of this, I was able to help and assist my brothers and sisters to complete their schooling too. Two of them already completed their college degree while three of my other siblings are still in college level. I’m hoping that they will finish their studies in next two to three years so I can also help other children with their schooling. This entry was posted in High School, Scholarships, Testimonials and tagged Cleto G. Prudente Scholarship, Louie Francis Alvarez, Rainzel Atienza Obina on June 8, 2014 by mscadmin.